Autumn is here and prepared to stay for a while, which is why I put together my favorites from several Magazines this season. Starting with Jelly, one of my favorites. Their style is a bit more mature, but still daring. One of the reasons why I love it (and because Remi Sakamoto appears in it). Speaking of simple, here is a perfect example. Look at those cute flats! Printed Sweaters! I waited for this one. Imagine having these on a cold, rainy day. That one on the right with the flamingos should go to my closet like right now. Simple knits. My favorite is the left one in second row. Leather jackets & Leopard prints. So cool! 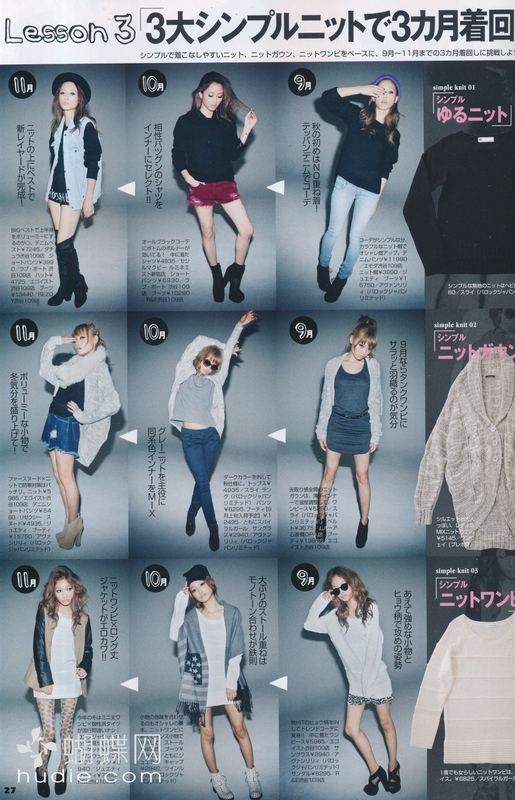 Moussy. Personally, I don’t really like this brand, it’s just not my taste… But they tend to have some awesome items! On to the next one with the college fashion magazine, CanCam. I LOVE wool knits! Combined with those boots it looks so gorgeous. 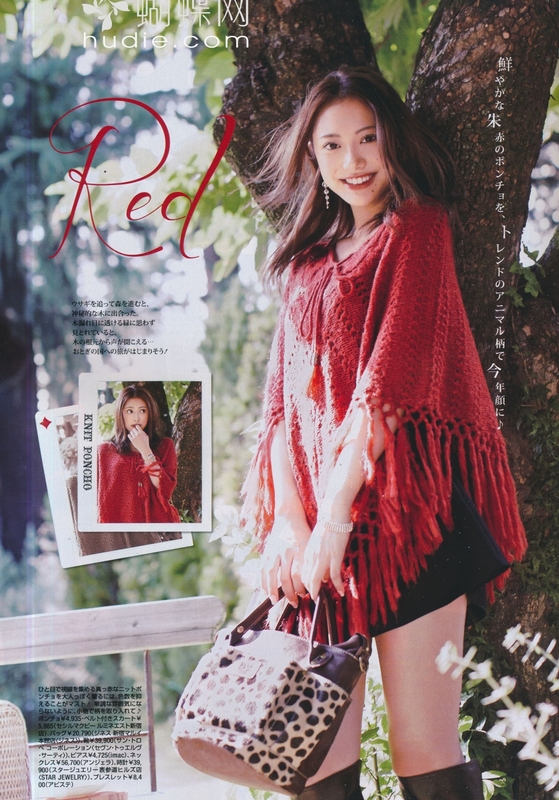 Red knits are really big this season. Checked clothing comes up every fall. Maybe it’s because it looks best on wool, etc. Anyways, this outfit is so cute! Love the knit, though I can’t get used to that cuff. It looks just too weird. Printed tights! They transform even the most simple outfit into something exciting. Part 2 comes tomorrow with ViVi and Bijin Hyakka. 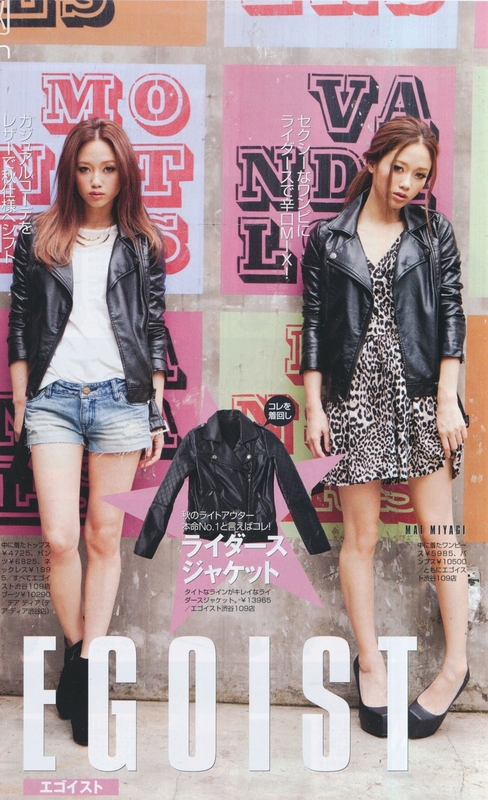 I actually wanted to include scans from Blenda, but I couldn’t find scans for October/November. By the way, those magazines (especially jelly) helped me a lot studying Katakana! You should try it. Love Your blog and this post! You’ve sure have an eye for fashion!